The Temple Mount Sifting Project was a direct result of the illegal bulldozing of the Temple Mount by the Islamic Waqf in 1999. Want to go to jail or start WWIII? Try doing an archeological excavation on the Temple Mount! Although such an excavation is currently impossible, there is a project that has been going on for the past 12 years that is bringing to light objects from the Temple Mount that date to the 1st and 2nd Temple periods. This project, known as the Temple Mount Sifting Project (TMSP), was originally inspired by a young archaeology student named Zachi Dvira. The story begins in 1999 when the Islamic Waqf (the trust that manages the Islamic structures on the Temple Mount), decided to illegally bulldoze a section in the southeast corner of the Temple Mount to create a stairway that would provide access to the Al-Marwani Mosque. 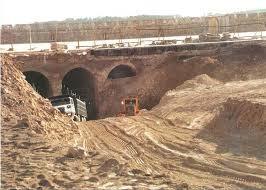 This project was performed without archaeological supervision, a clear violation of the law. The dirt from the project (over 9000 tons) was then unceremoniously dumped into the Kidron Valley. Inspite of the careless and illegal operation by the Waqf, the dirt from the Temple Mount has turned out to be an archaeologist’s dream. Through the foresight and effort of Zachi Dvira, and his former professor at Bar-Ilan University Gabriel Barkay, a new archaeological enterprise known as the Temple Mount Sifting Project was birthed in 2004. The Temple Mount dirt is hauled to a nearby site inside the Tzurim Valley National Park on the southern slopes of Mount Scopus. There, volunteers sift the dirt in a process developed by Dvira and Barkay known as wet sifting. Since the project began, over 500,000 artifacts have been discovered by nearly 200,000 volunteers! Below I look at some of the most fascinating discoveries. Among the most recent discoveries is a 3,000 year old seal dating to the time of Kings David and Solomon (10th century B.C.). The seal was discovered by 10-year-old Matvei Tcepliaev (a young volunteer from Russia). Although small in size (see photo on the left), the seal has significant implications. It was most likely used to seal letters. According to the co-directors, this provides evidence that, “administrative activity … took place upon the Temple Mount during those times.” This is important because some scholars/archaeologists in the 90s suggested that the biblical portrayal of Jerusalem from the time of David and Solomon was inaccurate. Their view, known as the “minimalist” view, maintains that Jerusalem was only a small village in the 10th century B.C. and that it did not extend up to the Temple Mount area. The seal, along with other discoveries in the Temple Mount area, is providing evidence “that the descriptions found within the Biblical text relating to [the] expansion of Jerusalem may, in fact, be authentic” (templemount.wordpress.com). The seal itself depicts two animals, one on top of the other (perhaps suggesting its prey). 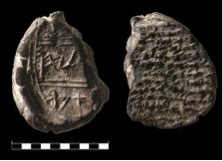 Similar seals, dating to the same time period, have been discovered at other archaeological sites in Israel including, Tel Beit Shemesh, Tel Gezer, and Tel Rehov. Because none of the items in the Sifting Project are found “in situ” (in their original archeological context), dating is established by similar objects from other sites and by experienced archaeologists familiar with such ancient objects. 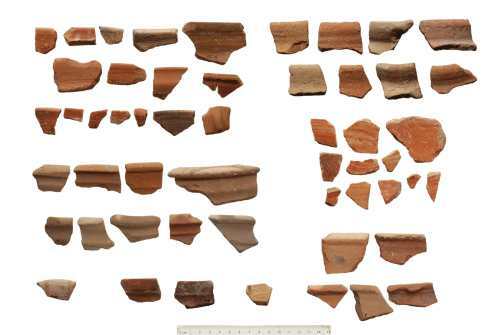 Other artifacts recovered from the time of King Solomon include, a bronze arrowhead (a rare find according to the co-directors) and pottery shards (see the photos below). Bronze arrowhead from the 10th century B.C. Clay impression bearing the name of a member of the priestly family of Immer. 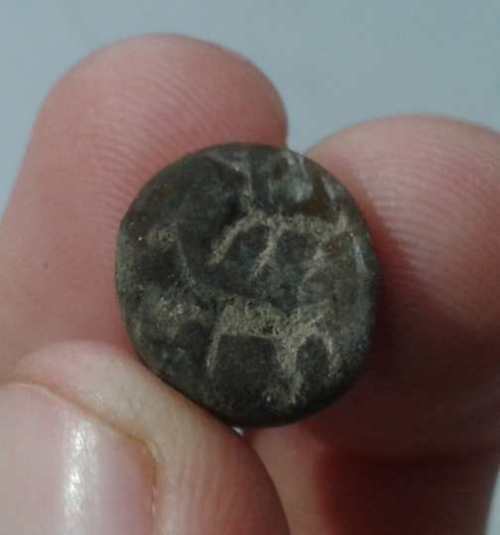 Speaking of seals, one of the most significant finds from the Temple Mount Sifting Project, discovered in 2006, is a seal impression dated to the 6th century B.C. It is believed the clay impression was used to seal a fabric sack (one side of the impression has fabric lines on it). The seal impression bears a name, but it is only partially visible. It reads: “(Belonging to) […]lyahu (son of) Immer,” The Immer family was a priestly family, and one of its members, “Pashhur son of Immer” is known to us from Jeremiah 20:1 which states that Pashhur was “chief governor in the house of the Lord.” Pashhur was an opponent of Jeremiah’s who had the prophet locked in stocks. Jeremiah predicted the severe judgment that would befall him (Jer. 20:3-6). The seal impression does not belong to Pashhur, but it does belong to a family member. Barkay suggests it may be a brother. 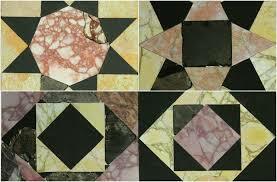 Reassembled stone floor tiles from the Herodian Temple. Another significant discovery (this one relating to Herod’s temple) are hundreds of fragments of colorful stone floor tiles. Recently, some of these fragments were pieced together forming an impressive display of what some of the flooring on the Temple Mount looked like during the 1st century B.C. – A.D. According to Josephus, “Those entire courts that were exposed to the sky were laid with stones of all sorts” (Jewish War 5:2). By using geometrical principles and comparing floor designs in some of Herod’s other buildings, the floor tiles were able to be reassembled. For further information, see the related articles below at the bottom of the page. Besides the discoveries detailed above, the Temple Mount Sifting Project has recovered over 6,000 coins and numerous pieces of jewelry. 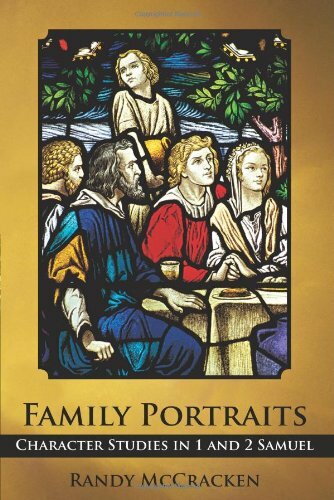 According to Bible History Daily, “The finds range in chronology from the Middle Bronze Age II (1950–1550 B.C.E.) to the present day, but most date from the 10th century B.C.E. onward.” See the photos below. According to Dvira and Barkay, about 70% of the debris has been sifted. If you’re planning a trip to Jerusalem and have 2 hours to spare, you may want to volunteer to do some wet sifting at the Temple Mount Sifting Project. For information on how to sign up click HERE. Who knows, you may make the next significant discovery. Thanks to the efforts of Dvira and Barkay (and thousands of volunteers), what once looked like an archaeological nightmare, has become a treasure-trove of information about the first and second Temple period. We look forward to when all of the artifacts have been examined and Dvira and Barkay publish their findings. If you’d like to watch a short video (under 8 minutes) click HERE. Dvira and Barkay explain the past, present, and future of the Temple Mount Sifting Project. My name is Korey and I’m a Post Coordinator for an upcoming show on the History Channel. I was looking to see if you had any photos or footage of the digging, construction or illegal dig of the Temple Mount? Anything would be helpful. We’d like to include it in our show. The shows is about the Knights Templar and their rise and fall. If you have any questions, please let me know. The only photos I have were taken from the internet. I would suggest contacting the men in this article who were in charge of the Temple Mount Sifting Project. Perhaps they will provide some footage and photos.